While axing the ACA mandate, why not replace it with a different coverage incentive? As part of their tax cut legislation, congressional Republicans are poised to repeal the Affordable Care Act's tax penalty on people who don't obtain health insurance, throwing insurers and providers into a panic. Healthcare industry groups and many policy experts warn that eliminating the law's mandate will cause healthier people to drop coverage, driving up premiums, unraveling the individual insurance market and leading to more uncompensated care. So why don't Republican and Democratic senators who are pushing legislation to stabilize the market add a replacement mechanism in their bill to prod consumers to buy and keep coverage? Establishing an alternative continuous coverage mechanism could soften the coverage losses from repealing the mandate, which the Congressional Budget Office projects to be 13 million by 2027 and S&P Global Ratings estimated at 4 million to 5 million. It also could prevent what the CBO estimated would be average annual premium increases of 10% a year resulting from ending the mandate. But insurance trade groups and other Capitol Hill watchers say they've heard no discussion so far of replacing the mandate with an alternative coverage approach. Politics and ideology are getting in the way, they say. 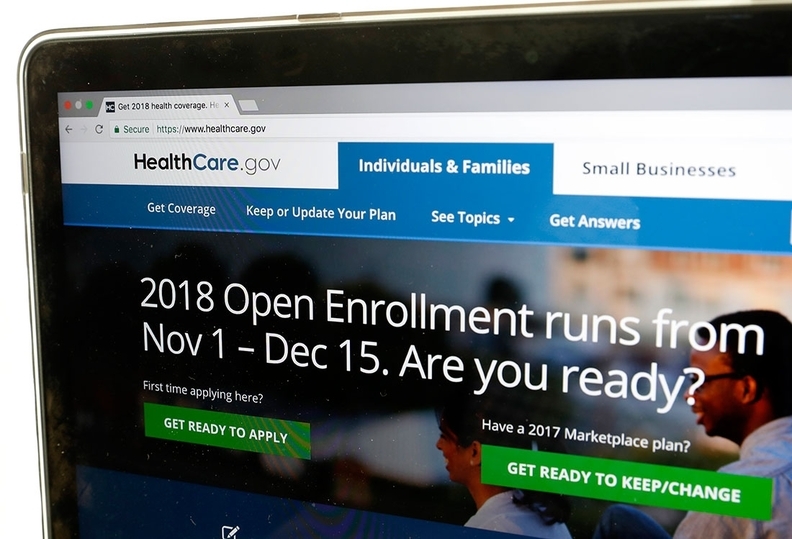 "There really are options if politicians were willing to become policymakers," said Joe Antos, a conservative health policy expert at the American Enterprise Institute, who favors a continuous coverage model called auto-enrollment. Still, there are doubts about the effectiveness of alternative approaches. And some even question whether any replacement is needed, given that the ACA's premium subsidies offer a powerful lure for low- and moderate-income people to get covered. A bipartisan market stabilization bill sponsored by Senate health committee Chairman Lamar Alexander (R-Tenn.) and Washington Sen. Patty Murray, the senior Democrat on the committee, would fund cost-sharing reduction payments to insurers for low-income exchange plan members for two years; speed up the federal approval process for waivers to allow states to redesign their coverage systems; and make higher-deductible "copper" plans available to people of all ages. But many experts say those measures wouldn't do nearly as much to steady the individual market and curb premium increases as strengthening the mechanism for getting and keeping healthier people insured. Boosting the share of premium-paying healthy people would offset the costs of older and sicker people in the risk pool and moderate rate increases. Removing the ACA's mandate, imperfect as it is, would swamp the effects of the Alexander-Murray stabilization measures, they warn. Adding a substitute for the mandate's tax penalty would seem a logical move politically and policywise for Alexander and Murray. That was clear from the reactions of two Republican senators, Alaska's Lisa Murkowski and Maine's Susan Collins, to the late inclusion of the mandate repeal in the Senate's Tax Cuts and Jobs Act. Their votes could be pivotal to passing the bill. "One of my concerns is that it will cause premiums in the individual markets to go up as healthier, younger people drop out," Collins said last week. On Sunday, she said she wants GOP leaders to drop the mandate repeal from the tax bill and for the Senate to pass the Alexander-Murray bill before any vote on the tax proposal. Collins said she has yet to decide how she will vote on the tax bill. Murkowski voiced concern last week that repealing the mandate would cause higher premiums that canceled out lower personal taxes. "If the Congress is going to move forward with repeal of the individual mandate, we absolutely must have the Alexander-Murray piece that is passed into law," she told Roll Call. Neither Alexander's nor Murray's offices responded to a request for comment about the possibility of adding a mandate replacement to their market stabilization bill. Folding an alternative continuous coverage mechanism into the Alexander-Murray bill "sounds reasonable," said Billy Wynne, a Democratic healthcare lobbyist and former Senate staffer. "But I'm skeptical there's bandwidth to negotiate any new meaningful policy at this point. Alexander and Murray consider their deal baked." Senate Democratic leader Charles Schumer of New York said last week that if Republicans repeal the individual mandate as part of their tax plan, Democrats will not support the Alexander-Murray bill. "Any Republican senator who thinks they can pass the individual mandate and then turn around and get Murray-Alexander passed is dead wrong," Schumer said. Antos said Democrats are pulling back from supporting market stabilization moves because they want to blame Republicans for higher premiums going into the 2018 elections. On the other side, ultraconservative Republicans don't want to do anything to make Obamacare work better. There are a variety of proposed alternatives to the ACA's individual mandate to give people incentives to get and stay insured. One way is to impose a penalty for people who wait to enroll in the form of higher premiums, similar to Medicare Part B. Following that model, the House GOP's ACA repeal-and-replace bill this year proposed a one-time, 30% premium surcharge for people who enroll following a gap in coverage. Antos cautioned, however, that a penalty as tough as the one in Medicare Part B would be politically unpalatable, while the House GOP approach would be too weak. Another approach is to automatically enroll uninsured people in a health plan, giving them the option to drop out. That's the approach favored by Sen. Bill Cassidy (R-La.) along with Antos and other conservative health policy analysts. Employers have found auto-enrollment boosts participation in 401(k) retirement plans. Other possibilities include requiring people who have not maintained continuous coverage to wait for a set period of time, say six months, before they can enroll in a plan. That was the approach proposed earlier this year in the Senate Republicans' Better Care Reconciliation Act, which did not pass. It's widely agreed that the ACA's individual mandate penalty—currently $695, or 2.5% of household income, whichever is greater—has not been as effective as hoped in prodding younger and healthier people to buy coverage. But it's unclear whether any of the alternatives on their own would be as effective as the mandate without costing the federal government significantly more money. Auto-enrollment could boost enrollment among younger people, but it would be logistically difficult to implement because there's no existing database of those who currently are uninsured, Wakely found. Other alternatives, such as stiffening the ACA's individual mandate penalty or offering more generous premium subsidies to a broader range of the population as a carrot to lure people in, are not feasible in the current political environment, the Wakely report said. That's why insurers and other healthcare stakeholders, who aren't necessarily enthusiastic about the individual mandate, are pleading with Senate Republicans not to kill it. "The upshot is that it's really hard to repeal the mandate without doing significant harm in the form of higher costs," said Margaret Murray, CEO of the Association for Community Affiliated Plans, which commissioned the Wakely study. "Doing so successfully will require a very careful, thoughtful approach and mix of policies, and I don't think that's a conversation that's taken place just yet."